The LARTOS system is designed to identify targets and objects, the distance to them, and their angular coordinates with respect to the LARTOS itself or to a particular point (position) whose coordinates are pre-entered/set in the system. The LARTOS system also calculates the opposite task – to define its own coordinates and direction “NORTH” (orientational directions) by known data for one or several points with known linear and/or angular coordinates (directional angles) with accuracy ± 00-02 thousandths/± 2,1mils. The following functional modules are included in the “LARTOS” system: main system module, control and visualization unit, power unit, positioning unit, cables, software to perform tasks of artillery instrumental intelligence (azimuth, elevation angle, defining a distance to the target from the LARTOS and a distance to the target from a forward position). The LARTOS system maintains a database of coordinates of objectives and objects. This is non-volatile database, ie. when the system power is turned off, the data is not lost. 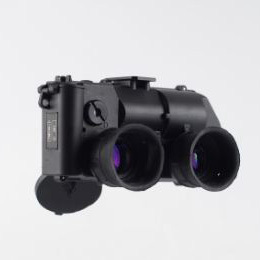 In the main module are included thermal imaging channel, laser rangefinder, measurement module. 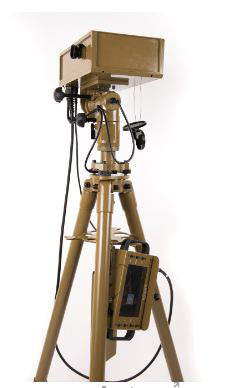 The main function of the control and visualization unit is to combine the information from all devices of the LARTOS system – to visualize the picture from the thermal imaging channel, perform calculations of the data, ensuring the fulfillment of the tasks of the artillery intelligence (azimuth determination, distance to the target from the device and distance to the target from another position). The control of the modular system LARTOS is done by a touchscreen display with a screen resolution of 800 x 480 pixels, 10-finger capacitive touch and viewable screen size: 155 mm x 86 mm. 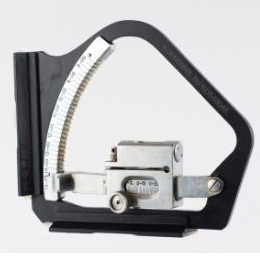 Used to set the system to a position for leveling (figure 1 pos.3). 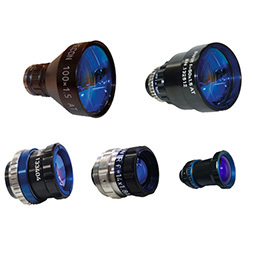 It serves to horizontalize the system for smooth and fast moving in vertical and azimuth. 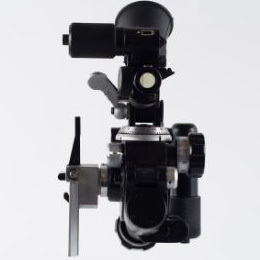 It is located above the tripod (Figure 1 pos.2). Provides no less than 6 hours continuous autonomous operation of the modular system LARTOS with one power supply unit. It is mounted at the bottom of the tripod (Fig. 1 pos. 4). It consists of a LiFePO4/12,8V/10A rechargeable battery with an integrated electronics unit, housed in an aluminum housing. The system is equipped with two power units and chargers: 230V AC and 12V DC for car socket.